Shep Garner may not be making three-pointers for Pat Chambers’ squad anymore, but he’s still making headlines for the Grand Rapids Drive in the G-League. His team already had a huge lead, but Garner sank a buzzer-beater from way downtown to give the Drive a 31-17 lead to end the first quarter. Garner, who joined the Grand Rapids Drive in October, led his team in scoring with 17 points in the Drive’s game against the Raptors 905. Despite holding a 14-point lead after 12 minutes of play, Grand Rapids blew the lead and ended up losing the game 106-91 to fall to 5-6 this season. The Chester, PA native has played more of a reserve role for the Drive to begin his pro basketball career with an average of 3.9 points and 1.1 rebounds per game in a little more than 15 minutes of playing time per contest. His 17-point effort against the Raptors marked a new career high in the pros. Garner and Grand Rapids will be back in action on Tuesday against the Memphis Hustle. 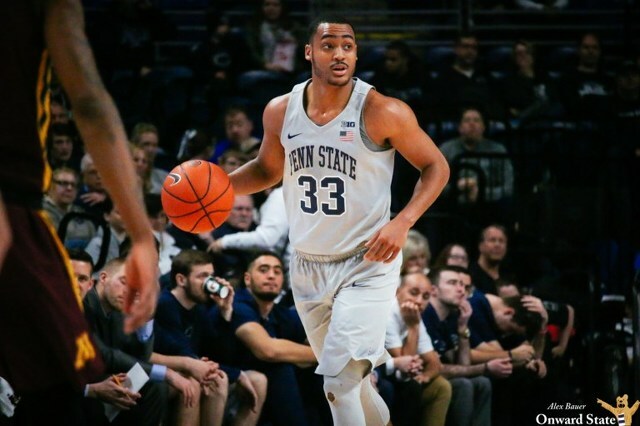 The Penn Stater will wrap up this week by celebrating his 24th birthday on Thursday before taking on the Lakeland Magic on Friday. Jesse James unveiled some colorful kicks for the Steelers’ Sunday night matchup with the Los Angeles Chargers (sorry to have to bring this up, Steelers fans). 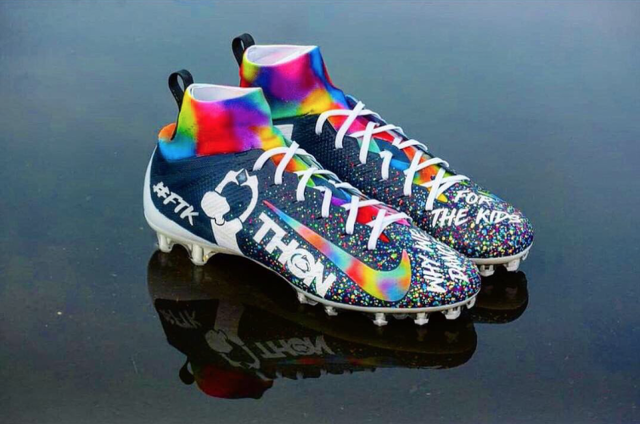 The former Penn State tight end showed his support for THON with a pair of custom cleats as part of the NFL’s “My Cause, My Cleats” initiative.